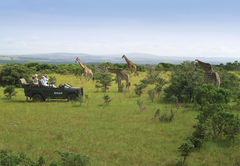 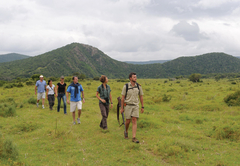 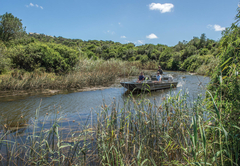 Settlers Drift Lodge is an Eastern Cape game lodge providing a wildlife experience for tourists visiting Sunshine Coast. 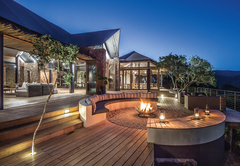 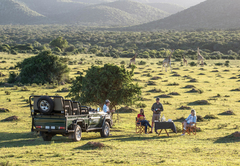 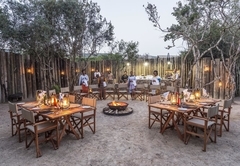 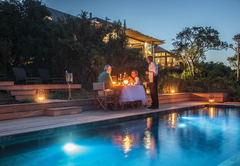 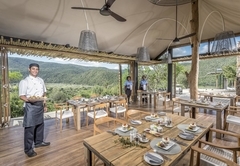 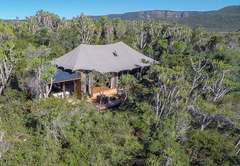 Located in a remote and untouched part of the Kariega wilderness, Settlers Drift Lodge offers a unique tented safari combined with 5-star luxury. 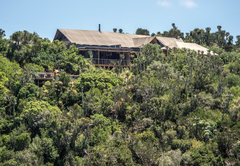 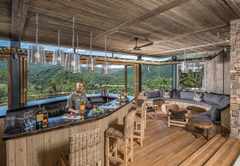 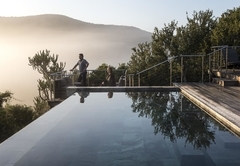 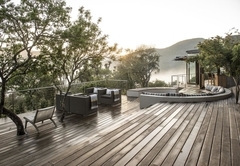 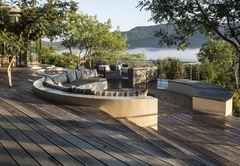 The lodge consists of spacious tented suites, each with stunning views and secluded viewing decks. 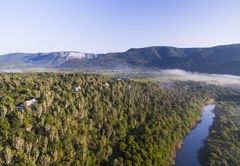 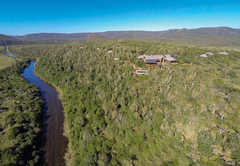 Gazing down from the decks overlooking the Bushman’s River, it feels as if time has stood still since the last feet to have touched this remote valley were those of the 1820 Settlers as they guided their wagons across the river. 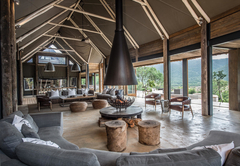 The luxuriously appointed and perfectly positioned tented lodge delivers the ultimate guest experience. 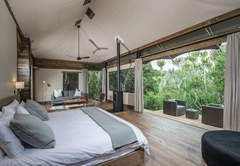 Nine spacious tented suites (each 110m²) - each with an opulent bedroom and living area, full bathroom, indoor/outdoor shower, mini-bar and private viewing deck. 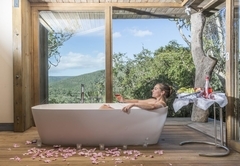 Luxury king-size bed (twin or double), Indoor / outdoor shower and contemporary free-standing bath, Air-conditioning and overhead fan, Safe and Tea and coffee facilities. 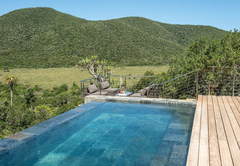 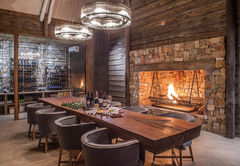 Restaurant, bar, wine cellar, spacious decks, pool, boma, curio shop, library and spa treatments. 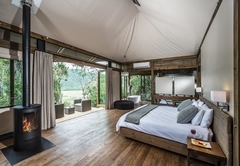 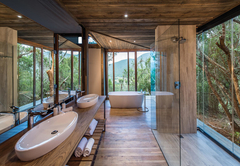 Private tented suites (each 110m²) - each with an opulent bedroom and living area, full bathroom, indoor/outdoor shower, mini-bar, stunning views and private viewing deck. 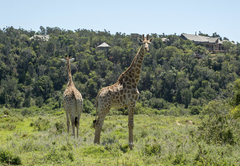 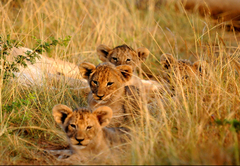 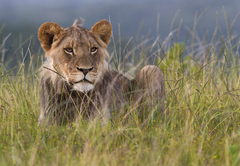 Rates include all meals, beverages, safari drive twice daily & river cruises. 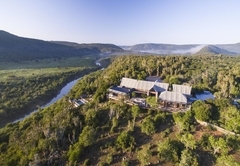 Response timeSettlers Drift Lodge typically responds to requests in 5-10 minutes.